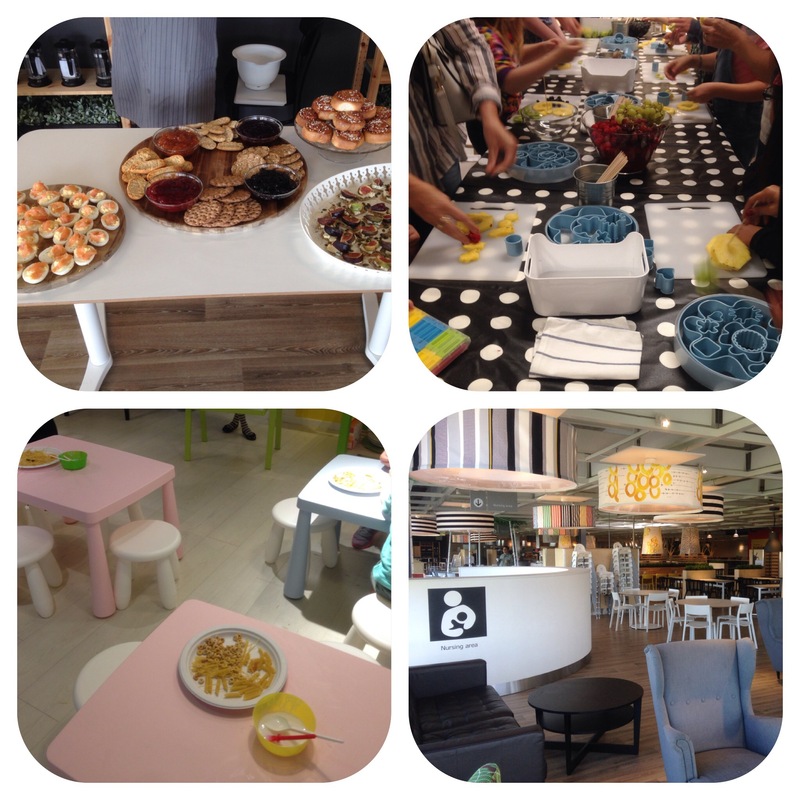 As an IKEA Family member we (my wife, kids and I) were invited to IKEA Sunday morning pre opening for a food workshop. 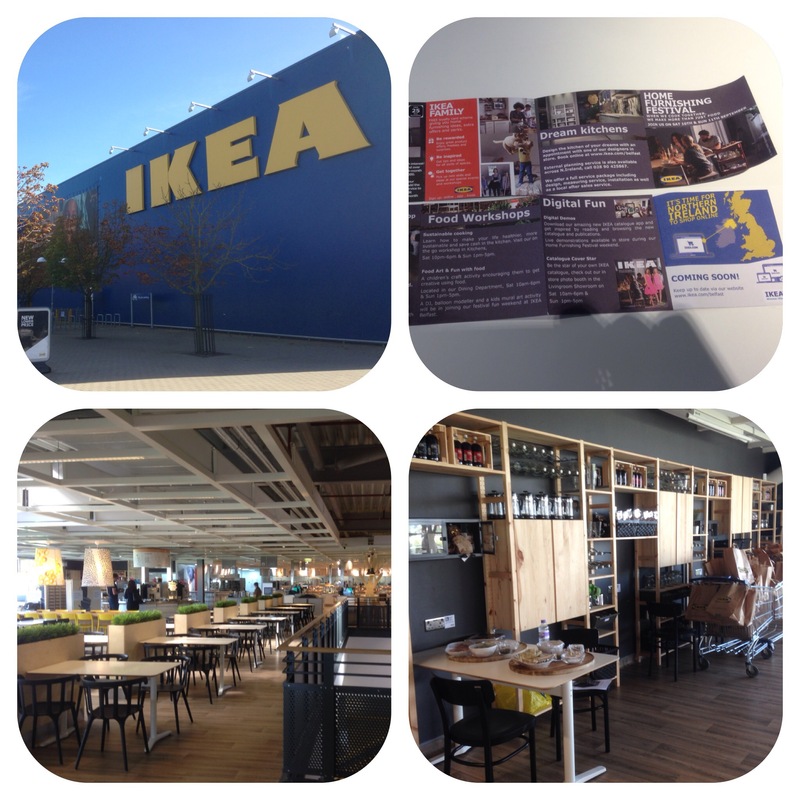 This took part during the Home Furnishing Festival Weekend which coincided with the launch of the new IKEA Catalogue. 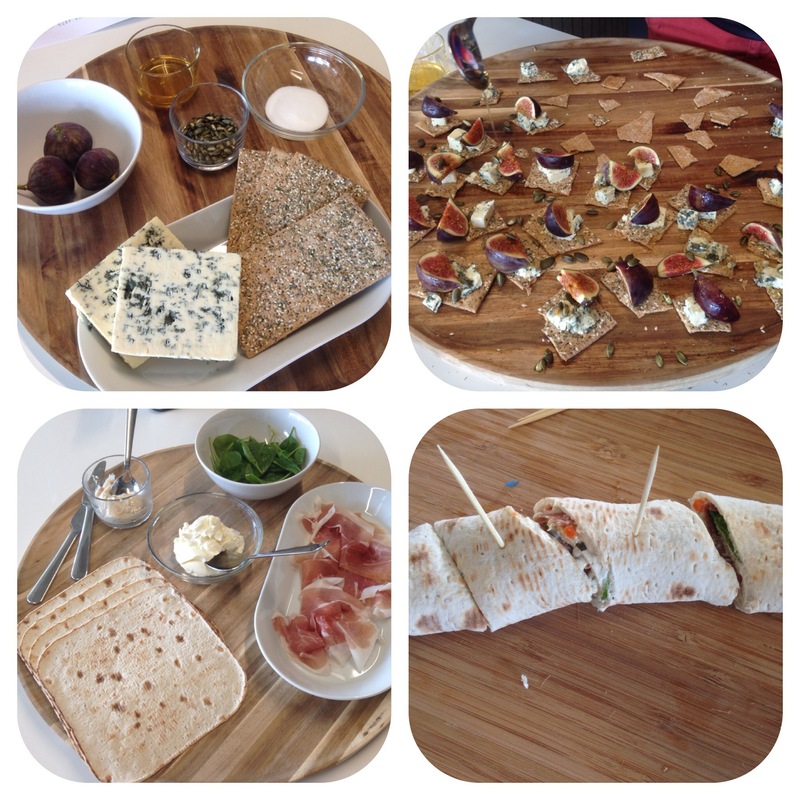 The workshop entailed hands on making and tasting three dishes. The first was devilled eggs. My wife and two daughters volunteered to make these. 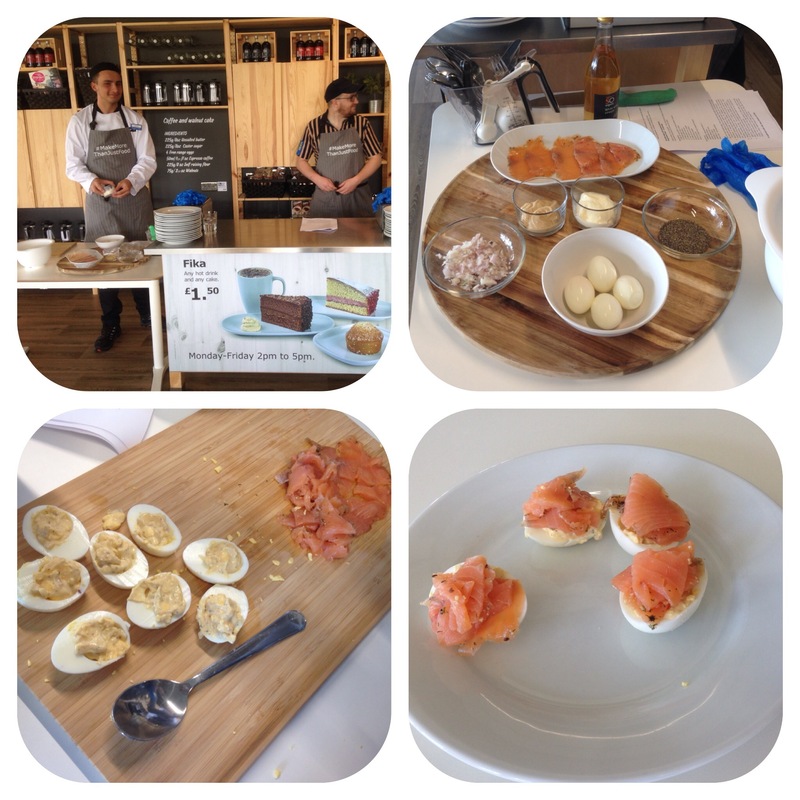 Hard boiled eggs were cut length wise, yolks removed and replaced with a mixture of seasoned shallot and mayo and topped with gravlax salmon- must say they were delicious!! Next was blue cheese on crackers with honey, figs and pumpkin seeds. The kids weren’t too keen on the cheese as it was quite strong but again I thought it was a great combo. Lastly myself and my eldest volunteered to make flatbread, with pancetta, spinach, cream cheese and horseradish. The flatbread was square which is a very handy shape!! Suffice to say my two daughters had the wrap without the horseradish whilst mine was fully loaded and very nice. The chefs, co workers and David the host, were fantastic and really involved the whole group, explaining certain Swedish and IKEA traditions whilst chatting informally and making us all feel at home. There was copious amounts of hot and cold drinks available-our family favourite is the hot chocolate. When we left we were all presented with an apron, catalogue and goodie bag containing chocolate, egg cups, containers, plastic food bags and fasteners. The girls made fruit sticks and played with pasta and glue!!! Then it was home before the real rush started!! I would like to thank IKEA for organising this-it’s a great way for children and adults to make food together.